A little over six years ago one of the most unfortunate events in the history of our country, the 11-year rebel war, came to a dramatic end through the help and cooperation of a number of sister nations of the Commonwealth. We are very grateful for this as a nation. 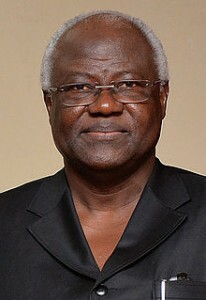 Sierra Leone successfully held her second presidential and parliamentary elections in August and September 2007 following the end of the rebel war in 2002. The elections where acclaimed the world over as free, fair and largely devoid of the violence that has come to characterise elections elsewhere. The elections also saw the election of my government into power from the opposition benches in parliament. This is quite a remarkable feat in itself given the electoral record of opposition parties in Africa. It is a clear indication of the consolidation of democracy in our country. Following my election into office, my Government has undertaken a broad programme of national reconstruction under the theme “An Agenda for Change.” The programme is aimed at rebuilding infrastructure and institutions to undertake our specific goals of national development as a postwar country. We have instituted a system of results-based management in all Government ministries, departments and agencies and set ourselves quarterly benchmarks to mark progress. In the short term, we are implementing macro economic policies aimed at revitalising the investment climate such as the removal of administrative barriers to doing business and investing in Sierra Leone and legislation for the effective execution of contracts. I offer you my personal assurances that our economy is stable and open again for business to all investors. Our abundant natural resources in the gold, diamond, fishing and tourism industries, to name a few, promise healthy returns on all investments. Our cities offer numerous tourist attractions, first class hotels and restaurants that provide “homes away from homes.” We have a coastline of over 270 miles of the most pristine beaches you will find anywhere in the world. The Commonwealth was invited to observe the elections in Sierra Leone and to make recommendations on improving electoral procedures. The COG mission met the National Electoral Commission to discuss arrangements for observers and the main political parties. Voter education for gender mainstreaming also formed part of the assistance and an advisor assisted in the development of voter education materials that were gender focused and inclusive. The COG was undertaken and a report was prepared for the Commonwealth Secretary-General and the Government of Sierra Leone. Three judges were provided, on behalf of the Commonwealth Secretariat, to strengthen the capacity of the Sierra Leone judiciary. The lack of qualified state prosecutors meant that most cases were being prosecuted by police officers who lacked the requisite skills. The provision of prosecutors and judges helped strengthen the system of justice in the country, cleared the back-log of corruption cases and assisted in maintaining the independence and integrity of the judiciary in Sierra Leone. This project formed part of a broader programme of support committed to reconstruction and capacity building in the justice sector. A trade policy advisor was provided, courtesy of the Commonwealth Secretariat, to assist in building capacity in the newly restructured Ministry of Trade and Industry. The aim was to improve Sierra Leone’s ability to adjust to new global opportunities in trade. The advisor is developed a ‘think-tank’ of experts who provided a coordinated training programming in negotiation skills, monitored trade issues and facilitated inter-ministerial interaction and communication. The objective of this Commonwealth funded project was to develop and install a Customs Valuation Unit and to review and update customs legislation to make it relevant to current international trade needs and compatible with WTO requirements. The project was in its second phase which focused on building capacity within the Customs Department in customs and trade facilitation with an emphasis on modernising the customs operations and implementing the WTO Customs Valuation Agreement. 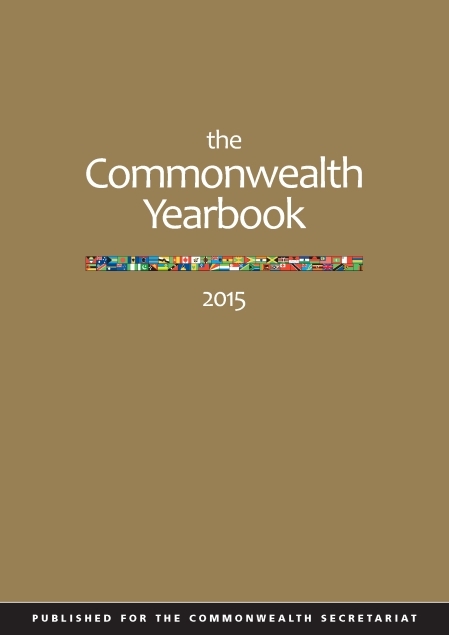 The Commonwealth Secretariat has established partnerships with UNCTAD, the World Bank, DFID and the EU to implement the programme of support in training and institutional building. This Commonwealth funded project sought to transfer building technology suitable for mass affordable housing to ensure utilisation of locally available raw materials, and provide opportunities for youth development and employment. Due to the volatile situation in Sierra Leone, the project experienced delays. However, consultants did complete the preparatory work for the proposed fieldwork in Sierra Leone including the preparation of training manuals, marketing brochures and the manufacture and testing of prototype equipment and materials.